This morning, a new lava flow emerged from the crater and started to flow down the southern flank towards the Trinidad canyon, reaching a length of 300 meters. Explosions continue and produce ash plumes rising to 4-4.2 km altitude (300-500 m above the crater), generating weak to moderate rumbling avalanches.  INSIVUMEH warns that this activity could increase towards a more intense eruptive phase in the coming days, with larger explosions, and possibly pyroclastic flows. The other active volcanoes in Guatemala have not changed in their activity: Pacaya has weak strombolian activity, while the lava dome of Santiaguito, relatively calm these days, produces occasional weak explosions and weak avalanches from the active flows descending the flanks of the dome.